Greg Mark is the CEO of Markforged, the innovative 3D printing company behind the forthcoming Metal X 3D printers, and the manufacturers of the Onyx, Mark Two and Mark X. Manufacturing can’t continue in its current form: it’s the single worst bottleneck of inefficiency in our fast-changing, digital and agile world. Creating physical products today is still stuck in a process made for the 20th, even the 19th century. In today’s agile software environments, companies react quickly to the market, release products and features in sprints, and can turn on a dime. However, to launch a new physical product or even change a design, there’s production tooling, fixtures, molds that need to be machined, and old fashioned trial and error iterations when things don’t go as planned. This all happens in machine shops and adds weeks or months to every process. How does 3D printing solve this? It hasn’t yet, but it will. 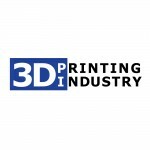 Seventy-one percent of manufacturers have adopted 3D printing and 52 percent expect 3D printing will be used for high-volume production in the next 3-5 years (PriceWaterhouseCoopers). Up until recently, 3D printing has helped speed time to market somewhat with rapid prototyping, size, form and fit testing. 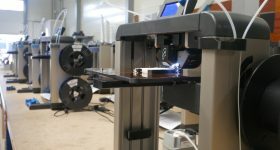 Some portion of production tooling can be printed as well with a few solutions on the market. 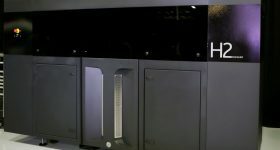 However, the printers on the market today – particularly end-use metal 3D printers – are comparable to the original mainframe computers of 40-50 years ago and cost $500k to $1M. Printing is about to break out of the realm of prototyping, novelty and experimentation, and transform manufacturing in a material way. We are already seeing this happen with innovative manufacturers. 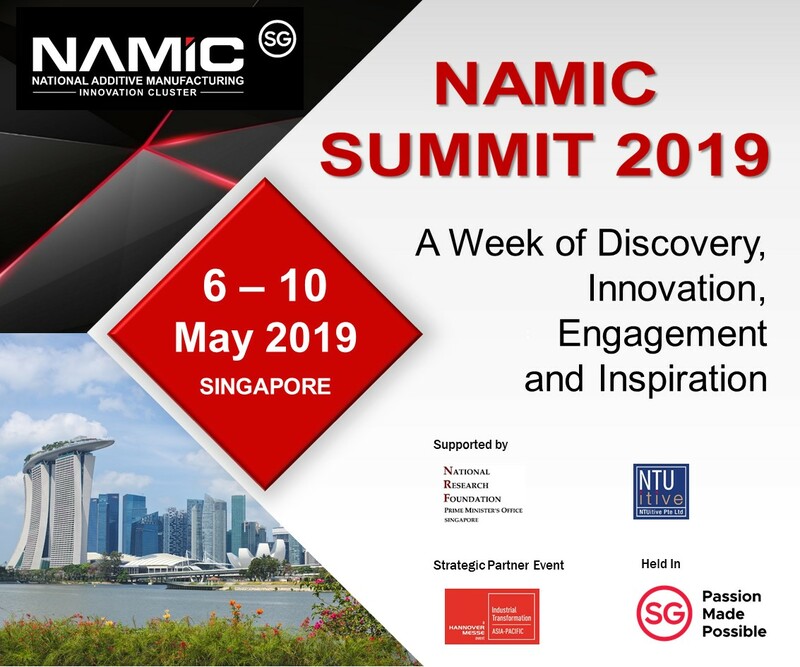 With the right printing technology and scaled cost efficiencies, manufacturers will be empowered to make a massive seismic shift towards what we call scaled digital manufacturing. The manufacturing process as we know it will look very different in the future. 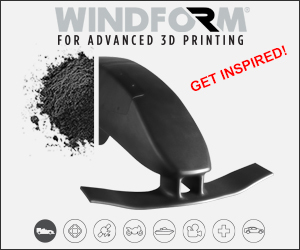 1) Strong parts made with the right materials: For parts that do a job – including tooling and fixtures as well as high volume production and after-market parts – printing with high strength and durability is a must. Printers must work with materials having the right properties, such as strength-to-weight ratios or toughness, and in many cases you need a one-for-one replacement part made of the same thing as the original (i.e. a metal). 2) Scaled architecture: This includes both printers that can operate reliably in a massively parallel system (think blade servers in a data center versus today’s mainframe) for production level volumes combined with management software that can operate a “fleet” for mass production or mass customization. Cloud-based software is a bonus – it enables seamless fleet coordination across departments, sites and continents. 3) Cost: The economics of using printing for high-volume production has not yet crossed the line to be feasible for production of tens of thousands of parts or higher. 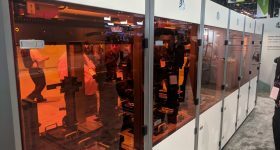 While 3D printing today is favorable for low-volume production and custom or highly complex parts, (and should continue to grow in this area with access to strong parts) a major cost-down is needed for printing to climb the curve towards higher volumes. 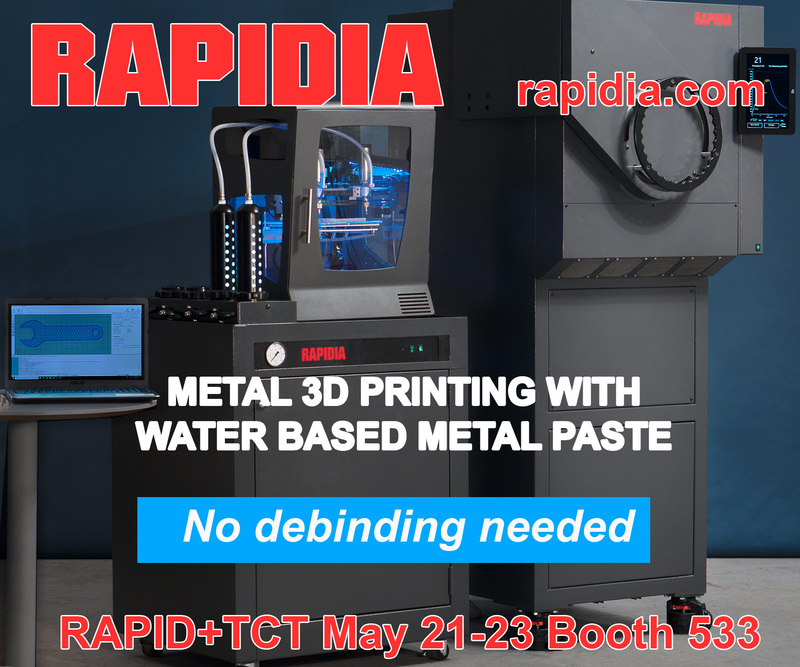 Once the affordability of running metal or strong plastics printers at scale approaches the level of setting up an old-school production line, then you have widespread adoption up and down the industry. 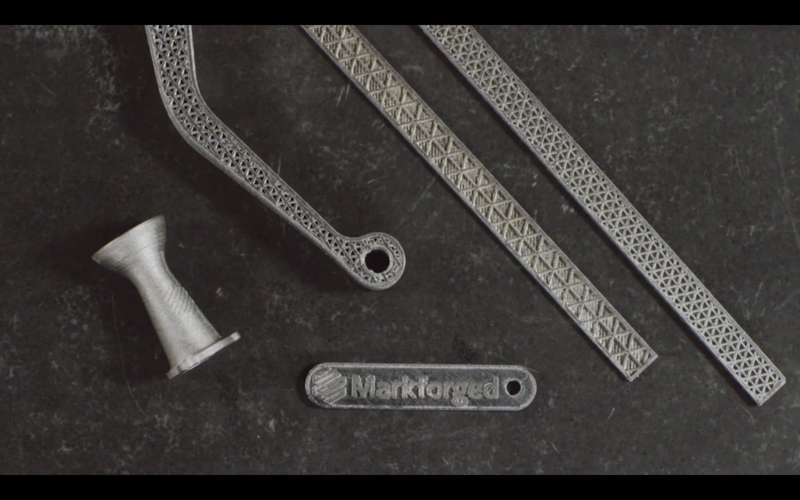 Markforged is overcoming all three of these obstacles to enable a major re-imagining of how parts are made. 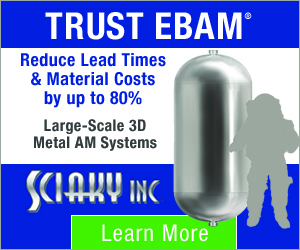 With strong parts available same-day at a low cost that can scale, we are already seeing the early stages of what’s to come with visionary yet very mainstream manufacturers. For our customers, the transformation isn’t a five-year plan, it’s happening now and will grow over the next 1-3 years. 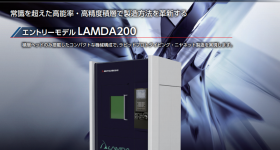 Our Atomic Diffusion Additive Manufacturing (ADAM) process for metal printing is already costed down to one tenth of current metal printers and in two years will be launched at scale at the price point of blade servers. 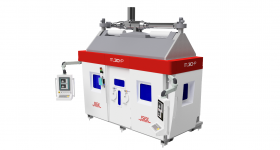 Our composite plastics printers are already providing massive efficiencies. Dixon Valve & Coupling is one example of a manufacturer successfully integrating 3D printing of strong parts into their manufacturing process. 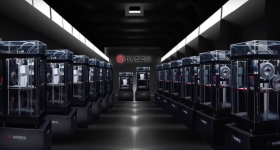 The company 3D prints jaws for industrial robotic arms on its manufacturing line. Dixon uses these arms arms to transfer fittings from one machining center to another in their fabrication process. Due to the large volume of different valves, fittings and gauges, each product line setup requires custom equipment, including tooling and grips to hold specific parts efficient. 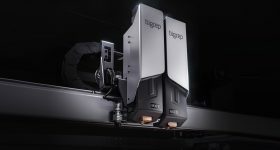 Before using the Markforged Mark Two 3D printer, manufacturing a new set of grippers was time consuming and expensive for Dixon. Now they produce these parts in less than 24 hours for a fraction of the cost. Prior to printing, the parts cost about $200 to make and it took 72 hours (not including shipping time) to receive the new part. The process now costs about $9 and takes a little over nine hours. 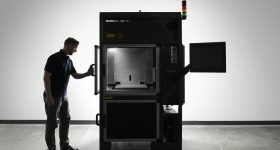 In fact, across all manufacturers using Markforged who have done an ROI analysis on time and cost savings: on average they have saved 95% of costs and over 80% of time to produce parts. Strong printing is now taking over greater parts of the production line and efficiencies continue to grow. The pace of product launches will quicken, products can be designed on a Monday, prototyped on a Tuesday and launched to full production by Wednesday. 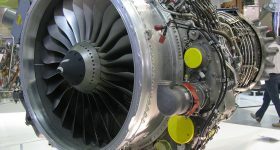 Costly and space-hogging inventories for many spare parts will be gone and instead real replacement parts get printed. We can’t wait to see what the next few years will bring as this manufacturing transformation really starts to take over. 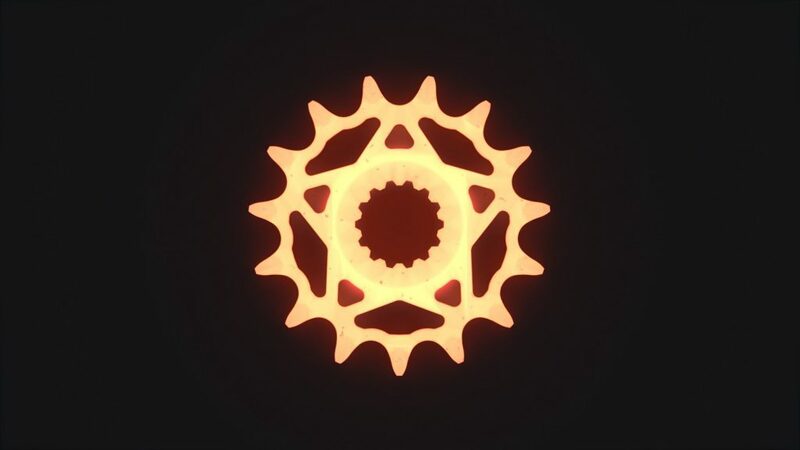 More information about Markforged is available here. 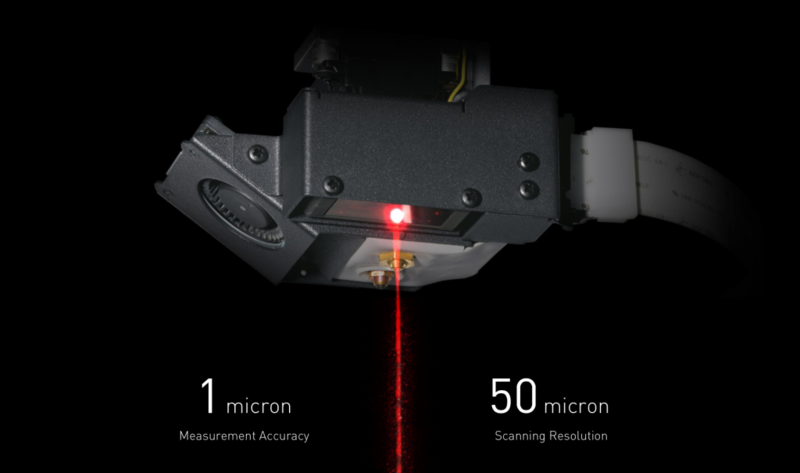 Featured image shows Greg Mark, CEO Markforged.